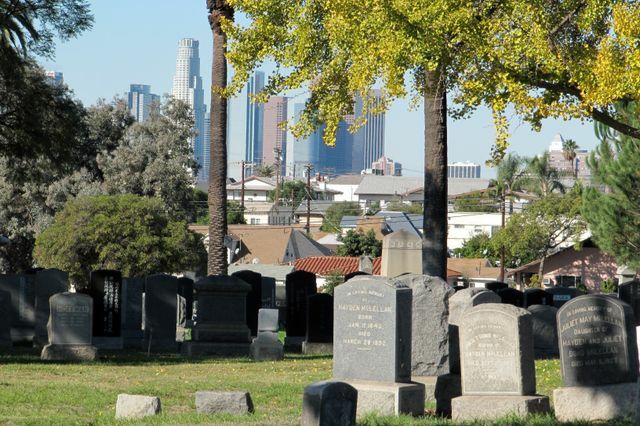 Los Angeles County has been interring the unclaimed dead at Evergreen Cemetery since 1896. Stefan Timmermans is a professor of sociology at UCLA. His research focuses on medical sociology and uses ethnographic and historical methods to address key issues in the United States health care system. Pamela Prickett is a professor of political sociology at the University of Amsterdam. This op-ed appeared Dec. 5 in the Los Angeles Times. Today at 10 a.m. a remarkable funeral is scheduled to take place at Boyle Heights’ Evergreen Memorial Park and Crematory. The dead will number 1,467. Their lives ended, and they were cremated, three years ago. By the time the service begins, the cemetery workers will have dug a single grave, put all the cremains in it, and covered it back up. No one will intone the decedents’ names (though the county will keep a record). There will be no eulogies or comforting of relatives because very few people present will know anyone being buried. None of this makes the memorial any less crucial for Los Angeles’ living and dead. Wednesday’s burial is an annual ritual for the county’s indigent unclaimed. The reasons these souls go into a mass pauper’s grave vary: They outlived their relatives, their kin were also struggling, or, in the saddest cases, brothers, sisters, children or parents didn’t want anything to do with the deceased. Their stories won’t be told: family strife, alienation, perhaps addiction, loneliness, poverty or violence in a big city. We may have seen some of the people being interred without noticing them: a homeless woman camping at Ballona Creek, an immigrant trying to survive after a disabling work accident, a former dancer whose career faltered who was living in a downtown hotel, an elderly man found days after his death in a small apartment filled with stuff. These aren’t happy Hollywood endings. But at least when these people die, Los Angeles doesn’t abandon them. The Greek philosopher Diogenes, a Cynic, provoked his contemporaries by challenging their burial customs: When his life was over, he said, his body should be thrown over the city wall to be devoured by wild animals. Diogenes’ view, however, has never prevailed. Across civilizations, few communities have chosen to treat the dead as carrion. The way we dispose of human remains, we believe, reflects our own humanity. At Evergreen cemetery, L.A.’s humanity thrives. 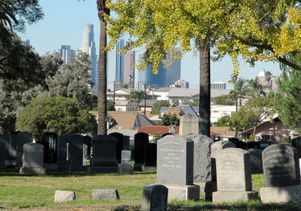 Los Angeles County has been interring the unclaimed there since 1896, and by some estimates it is the resting place of at least 100,000 Angelenos. When someone dies with no one to claim the body, an army of workers springs into action. You find them in the offices of the coroner-medical examiner, the public administrator who acts as a legal guardian of those who have no one else to speak for them, and at the Office of Decedent Affairs at the county morgue. These workers track down family members who may have severed ties with the deceased decades earlier. If that search is fruitless, or if the relatives are unable or unwilling to claim the deceased and there is no money for a private funeral, county workers cremate the body and wait to give relatives one more chance to pick up the cremains. Those who remain in county hands after three years will be buried in the annual ceremony at Evergreen cemetery. It is a dignified interfaith event, with clergy leading prayers. It isn’t morbid, but it is solemn. We’ve attended for the last three years. It shores up our sense of what community means: Giving those who were largely invisible one last sign of recognition. And it reminds us of the fragility of life: It could be any of us in that common grave. It may take only one economic downturn or one big family fight. The ceremony is a marker for the living, no less than for the dead. Even though the county workers are highly professional and the ceremony is dignified, few of us would choose a pauper’s grave, with a stone bearing only the year of death. What can we do now to avoid such an end? Maybe it is time to patch things up with your sister. Maybe it’s time to think about what you would like to do before dying, or at the least to figure out the details of your own passing. If you can’t join us in Boyle Heights today, observe a minute of silence, in recognition of our shared mortality, and the lives and deaths of those who will finally be laid to rest. Evergreen Cemetery in the Boyle Heights neighborhood of Los Angeles. waltarrrrr/flickr. Creative Commons 2.0. 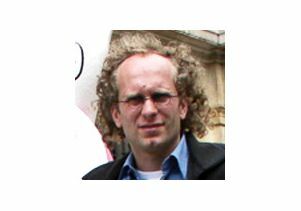 Stefan Timmermans is a professor of sociology at UCLA.